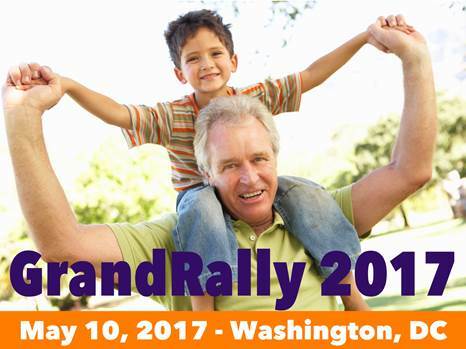 Save the Date – The 5th National GrandRally is coming May 10, 2017 in Washington, DC! WORD OF MOUTH: Invite your colleagues, friends and family to the Rally and ask them to spread the word! Please use or adapt these sample tweets and Facebook posts to spread the word about the GrandRally with your networks. Relative caregivers help children thrive. Come to #GrandRally2017 May 10th in DC to celebrate these caregivers. For every child living with relatives in #fostercare, 20 children are raised by relatives outside of foster care. 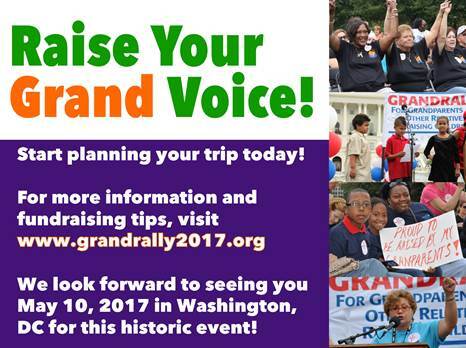 Do something grand, support grandparents and other relative caregivers at #GrandRally2017! 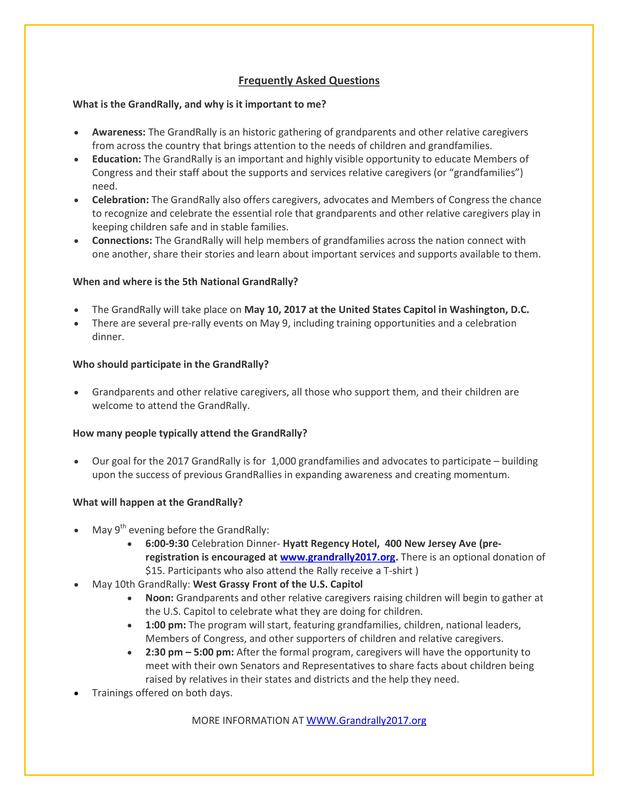 If you have or are being raised by a grandparent or relative, please come to Washington, DC on May 10th, all are welcome to join the celebration on the lawn of the U.S. Capitol. Raise your voice for grandfamilies with your members of Congress. You can age out of foster care; but you never age out of family. 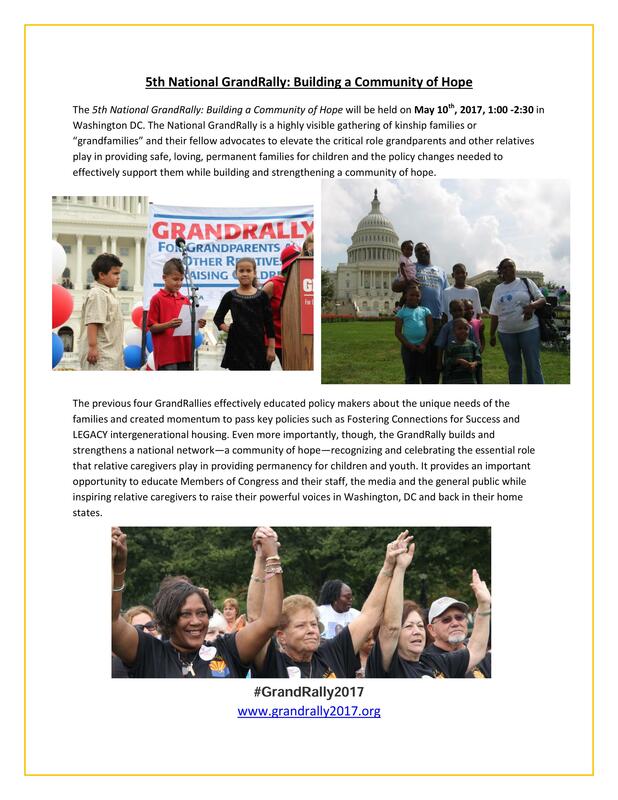 Support kinship and grandfamilies and come to #GrandRally2017 May 10th, 1 – 2:30 PM on the front lawn of the U.S. Capitol. Raise your voice for children raised by relatives, and celebrate their successes! #DYK Grandfamilies save taxpayers $4 billion a year by supporting children and keeping them out of #fostercare. They protect children and provide a safe, loving and permanent family. 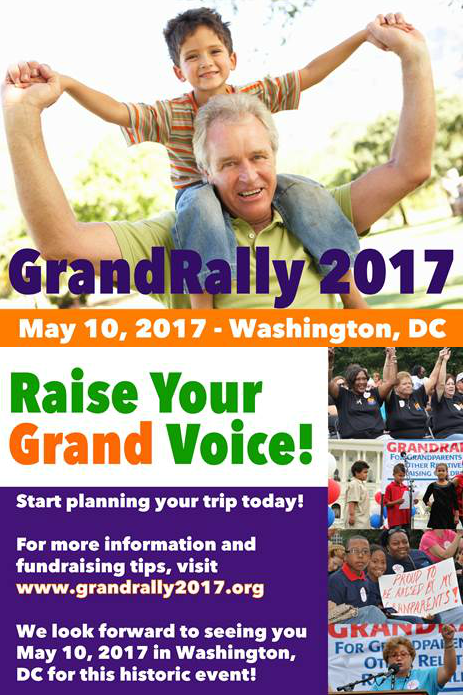 Join us in support and celebration of these grandfamilies at #GrandRally2017 on May 10th. You won’t want to miss the stories, the music and the celebration. The GrandRally is from 1 – 2:30 PM and visits with members of Congress immediately following. Do something GRAND. Come to #GrandRally2017. Click the image to expand, then print (Ctrl+P).